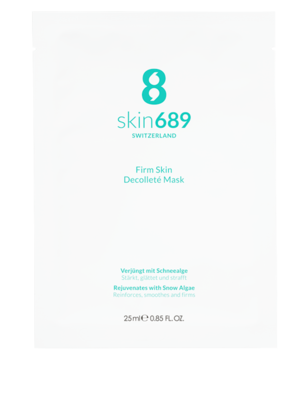 This high-quality cellulose mask is specially formulated to firm, nourish, refresh and smooth the decollete in a quick and sustainable manner. 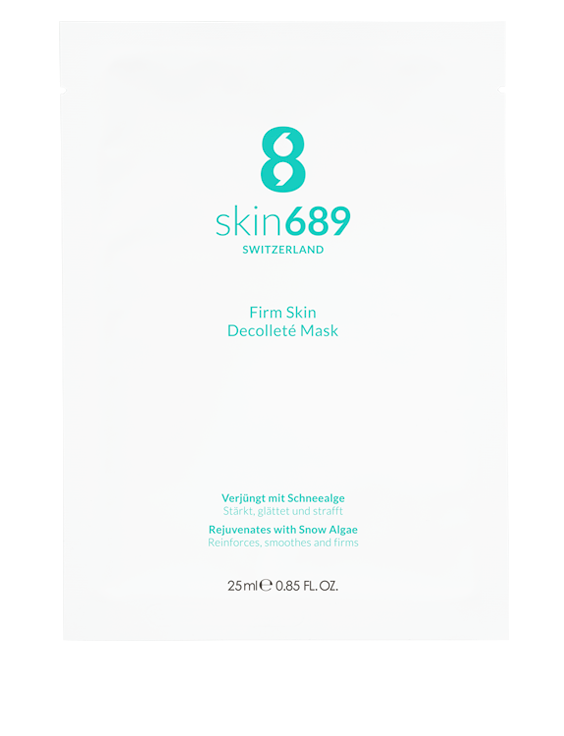 The skin689® Firm Skin Decolleté Mask with its fine net of bio-cellulose ensures instant regeneration. Its fine natural fibres are obtained in a biotechnological process from natural coconut water and fermented to a gel-like tissue. As a result, the mask sits like a second skin and works on even the finest lines and wrinkles effectively. The contained proteins have strong moisturizing and soothing properties. The snow algae extract activates the longevity gene of the skin cells, and protects, smoothes and hydrates the skin. The unique active complex is supported by fermented coconut extract, amino acid, niacinamide and a glucoside-lysine-proline-copper complex. As a result, the particularly delicate skin of the decolleté becomes more elastic and smoother and is protected against irritation, strengthened and moisturised. Unfold the face mask, remove both protective foils, place the mask on your decolleté and even it out. Relax for 20 to 30 minutes. Remove the mask and gently massage the residue into the skin.